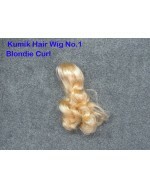 CUSTOM 1/6 Blonde Hair Smile Face Female Head Sculpt *** Click to enlarge below picture..
Up for sale Kumik Hair Wig No.1 Blondie Curl Style - You will need paper clay to stick it o..
1/6 Scale Female Head Sculpt Inner Adapter Fits Hot Toys Neck Joint Selling the Inner Adapter Onl.. IN STOCK Custom 1/6 Scale Pretty Lady Head Sculpt **Click to enlarge below pic.. IN STOCK Custom 1/6 Scale Angelina Jolie 2.0 Head Sculpt **Click to enlarge below pictur.. 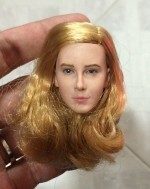 In Stock OSK1511615 Custom 1/6 Scale Female Head Sculpt 4.0A ***Selling the head sculpt only, .. 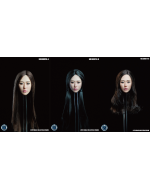 In Stock OSK1511616 Custom 1/6 Scale Female Head Sculpt 4.0B ***Click to e.. 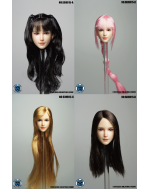 IN STOCK OSK1601657 1/6 Scale Custom Female Head Sculpt ***Click to enlarge below pictures*** .. 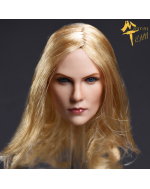 IN STOCK Limited Collectible 1/6 Scale Female TX Head Sculpt Head sculpt pre-painted as pictur.. 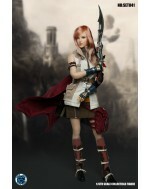 IN STOCK Limited Collectible 1/6 Scale Ms Q Female Head Sculpt Head sculpt pre-painted as pict.. IN STOCK Limited Collectible 1/6 Scale Olivia Female Head Sculpt - Hair wig separate from head, b..
OSK1610948 Custom 1/6 Scale Super V JJ Female Head Sculpt ***Click to enlarge below pic..
OSK1612006 Custom 1/6 Scale Brown Hair Female Head Sculpt Head sculpt pre-painted as pi..
**Attention** Only FGC2017-18 Orange Version Available FLIRTY GIRL 1/6 Scale ..
OSK1711263 Custom 1/6 Scale Female Head Sculpt ***Click to enlarge below pictures*** ..
SuperDuck SET023 1/6 Scale Combat Girl Costume Set - There are 3 style combat set, the listed pri..
SuperDuck SET024 1/6 Scale Space Girl Costume Set Note: Body is not included. Suggest TBLeague..
SuperDuck SET029 1/6 Scale The Death Model Costume set **Suggest to use TBLeague S10D seamless bo..
Super Duck SET031 1/6 Scale Combat girl 2.0 costume set Note: Body is notincluded. 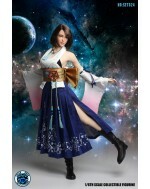 Figure body i..
SuperDuck SET033A 1/6 Scale Special Force Combat Girl Costume Set Note: Body is not included. 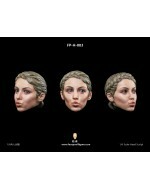 (B..
FacepoolFigure 1/6 Female Head Sculpt - FP-H-003 ***Click to enlarge below pictures*** ..